Finding the perfect cocktail is like finding true love; it requires a lot of persistence and leaves you a bit woozy at the end. So why not combine the two? Valentine’s Day is a great time to experiment with cocktails – there’s no better time than with your Valentine to try out some new drinks. We can’t point to one dreamy drink as the template for all Valentine’s Day dinners. Rather, we wanted to spread the love around to what we think are the Top 5 Best Drink ideas for Valentine’s Day. Inspired both by New York and our upcoming in-store demo of the Twist n’ Sparkle system, the Long Island Iced Tea is a drink known historically for it’s combination of potency and flavor. True-to-form, the only ingredients are spirits and a bit of soda! We published a quick gift guide last week that got us thinking: the real fun behind the holiday season is spending time with your family (go ahead, admit it! ), and nothing is better for sharing than a good meal. Rather than gifts, we looked into 12 foods that represent the season like no other. While this list isn’t definitive, it certainly is delicious! For the sake of brevity (and to halt pant sizes from skyrocketing upward) we decided to split the list into six this week, and another six for our next post. We think you’ll agree that moderation is key! These sweet candy treats began as incredibly labor-intensive products; while it’s unclear when exactly the cane originated, their production widened across Europe in the mid-17th century, albeit as simple white canes. The famous red and white streaked design, now so evocative of the holiday season, wasn’t popularized until much later. We’ve been thinking a lot about creative specialty drinks lately. Sure, Philly is recognized far-and-wide as a leading beer town, but we found some great drink recipes that move away from the suds. Toque Tip! 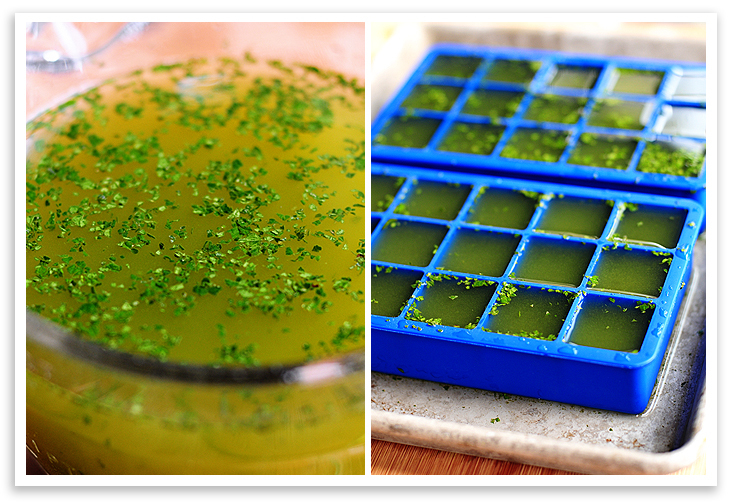 Kelley used the Perfect Cube Silicone Ice Cube Trays (#121304), but any on our Ice Cube Trays page will do.